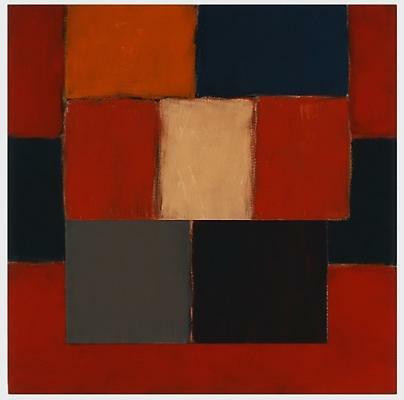 Sean Scully (born 1945 in Dublin) has been described as the ‘greatest living abstract painter’. He is best known for his monumental oil paintings, but his watercolours, prints and photographs—though less known—are equally powerful and significant. Scully abandoned figurative work in the 1960s and has since developed an iconic visual language of strips and blocks. He has explored these forms in a variety of combinations, rhythms, colours and media, and the resulting range is breathtaking. His work is represented in major museums around the world and is regularly displayed internationally in solo exhibitions. In this, his first exhibition in Oxford, eleven paintings and thirty-three prints by Scully will be on view. The physical power and materiality of his works will be in direct dialogue with the masterpieces of the 16th century from the Christ Church collection: Annibale Carracci’s Butcher’s Shop will be inches away from Scully’s Dark Wall, Jacopo Bassano’s Christ Crowned with Thorns in close proximity to Scully’s Abend, and Scully’s Yellow Robe Red Figure will speak to Jacopo Bertoia’s Mars, Hercules, Bacchus, and Jupiter. Like Dürer, Rembrandt and Goya, Scully’s prints developed in parallel to his painterly work. Among his prints on display will be Heart of Darkness, Ten Towers, Desire, and Narcissus. The exhibition was curated by Jacqueline Thalmann and Kelly Grovier with the full support of Sean Scully and his New York studio. A catalogue will accompany the exhibition. Sean Scully and Kelly Grovier will be in Conversation in the Blue Boar Lecture Theatre at Christ Church, Oxford, on the 30th May 2014 at 5.00pm.